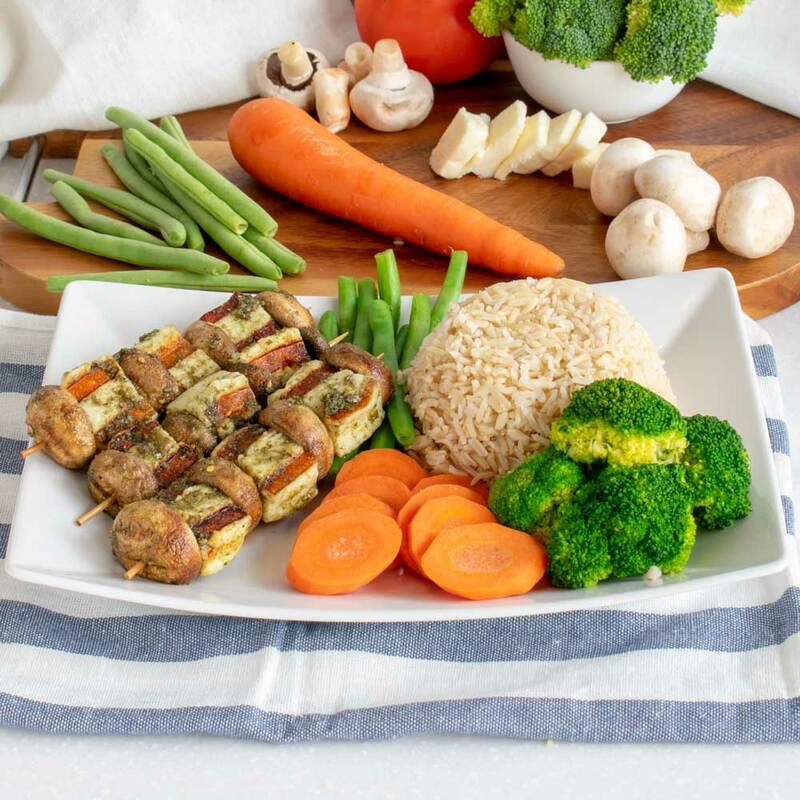 Grilled halloumi and mushroom skewers topped with our secret zataar recipe served with two side orders of your choice. All nutritional information is calculated with two side orders of mixed veggies. This is due to the fact that there is to many variables to list on our menu. 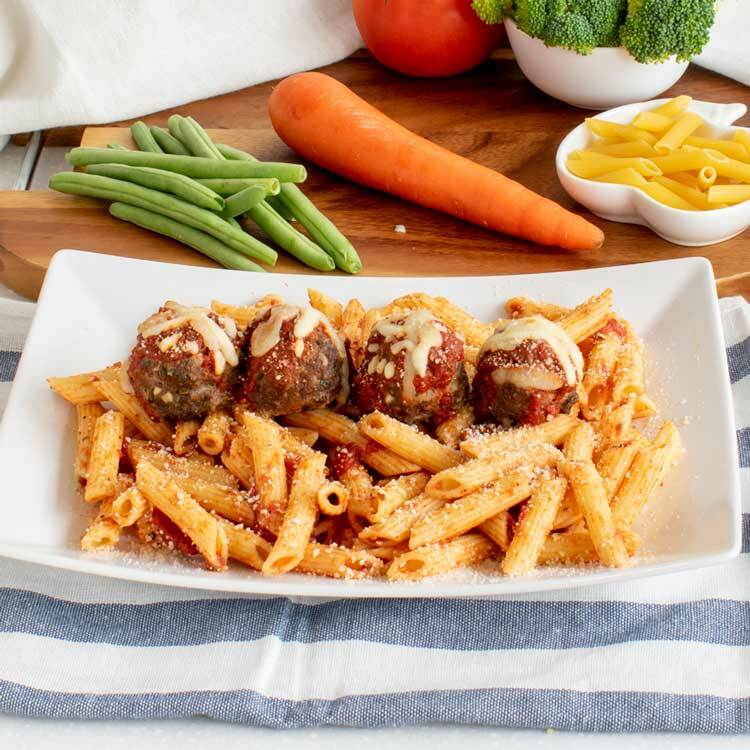 Lean meatballs topped with our homemade tomato and mozzarella cheese sauce served with penne pasta or two side orders of your choice. 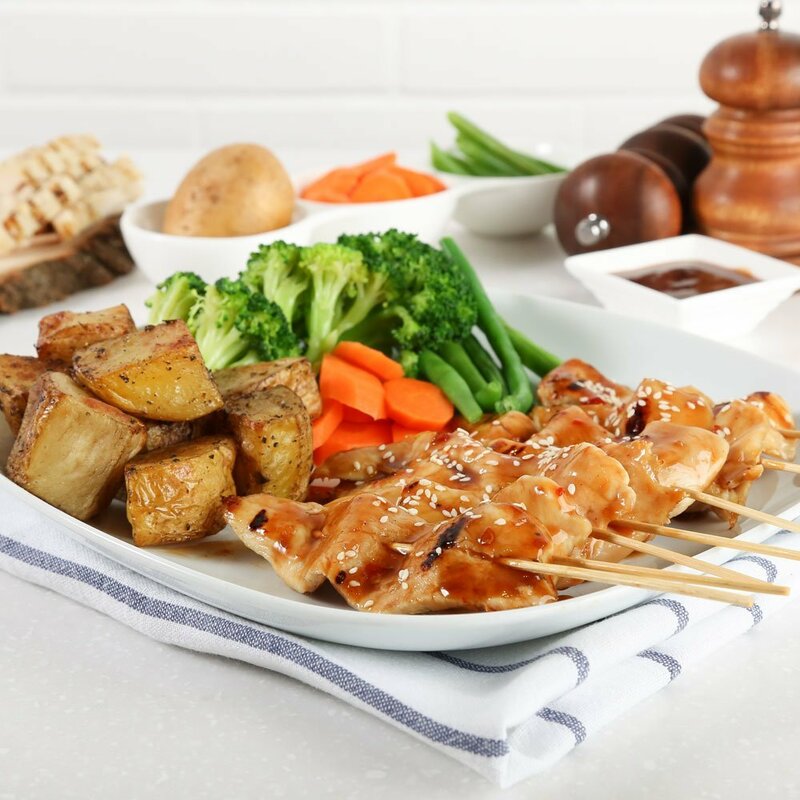 Succulent chicken skewers topped with our secret soy sauce recipe and sesame seeds served with two side orders of your choice. 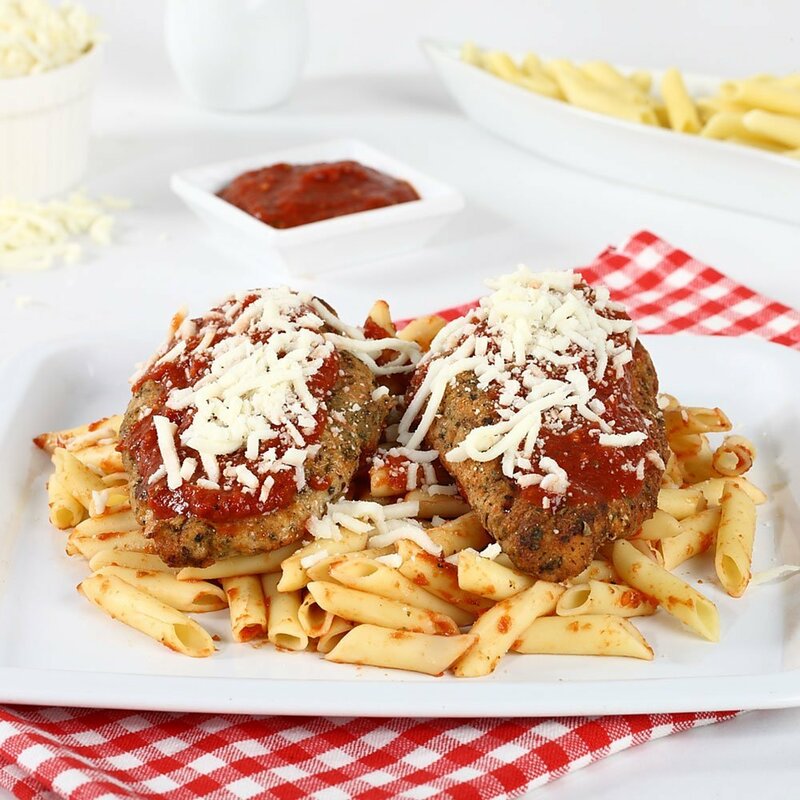 Penne pasta our homemade chicken Parmesan breast, smothered in our fresh tomato sauce and mozzarella cheese penne pasta or two side orders of your choice. 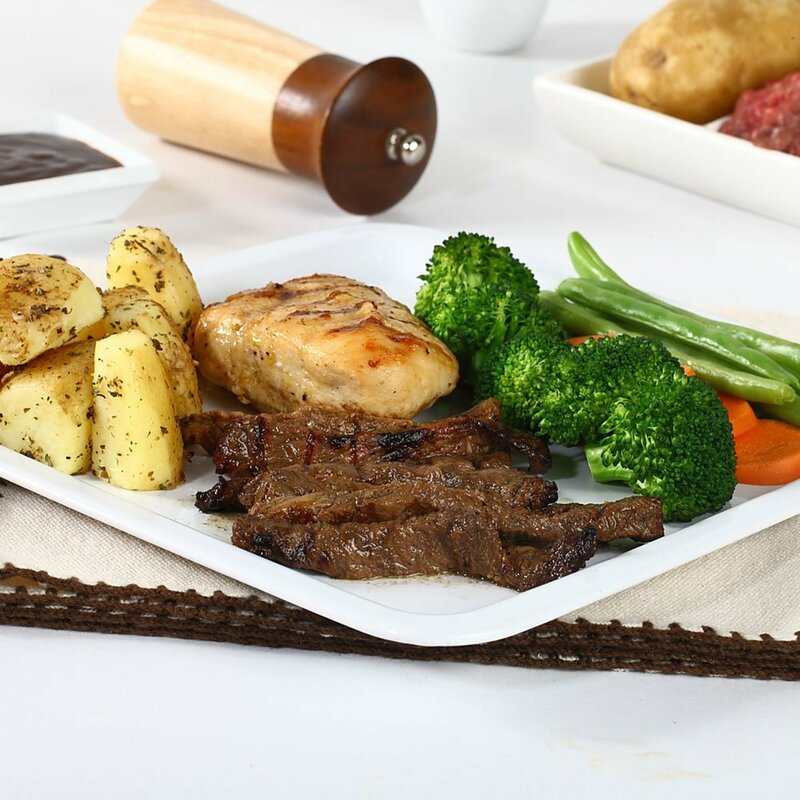 A divine combination of our grilled chicken breast and steak tips grilled to perfection served with two side orders of your choice. 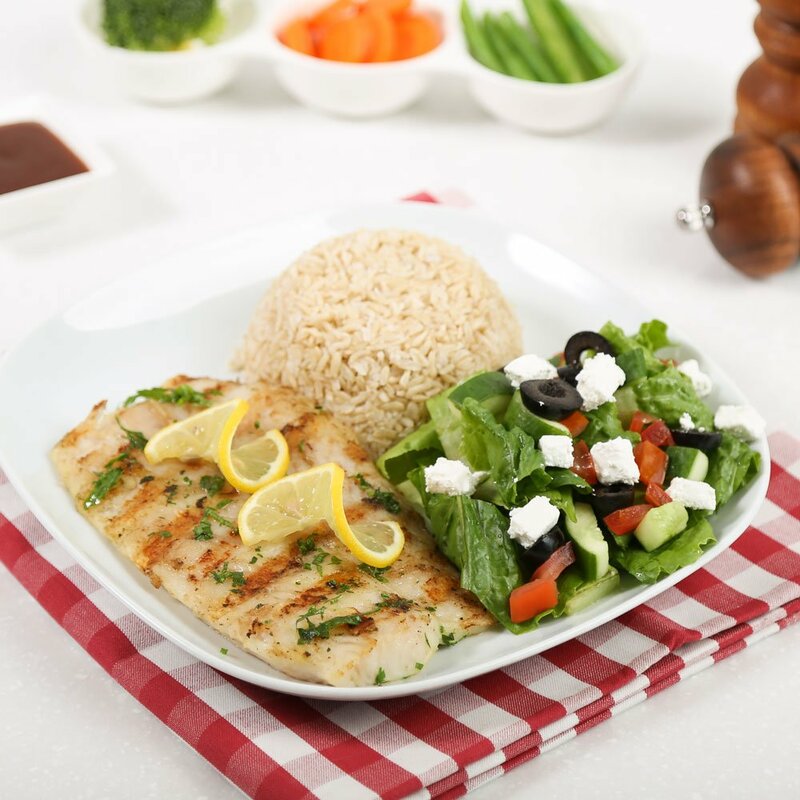 Fresh fish fillet with the a blend of secret spices that will leave you craving for more, served with two side orders of your choice. 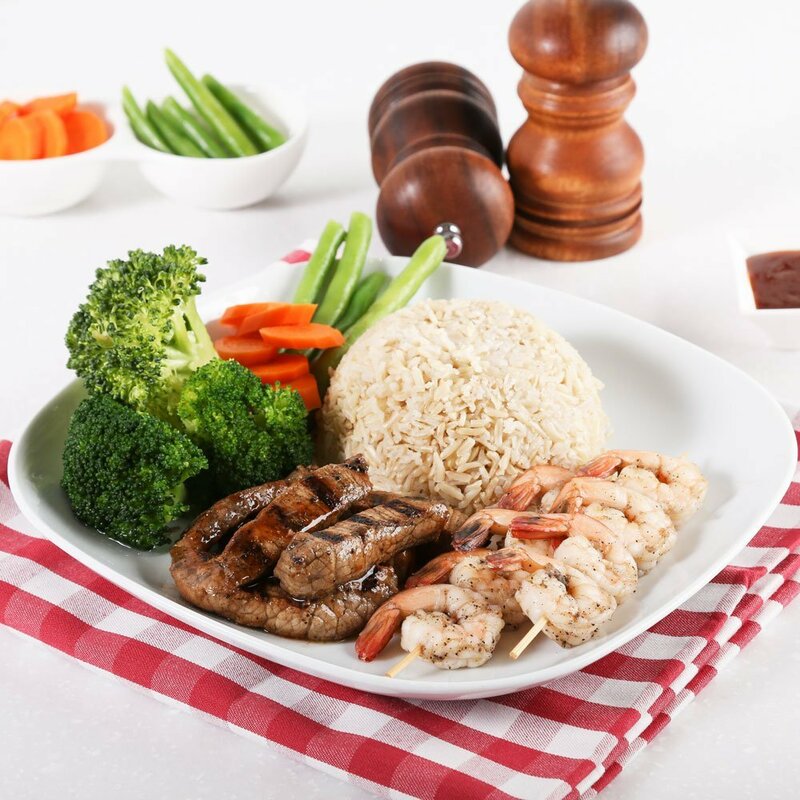 A divine combination of our grilled shrimp and steak tips served with two side orders of your choice. 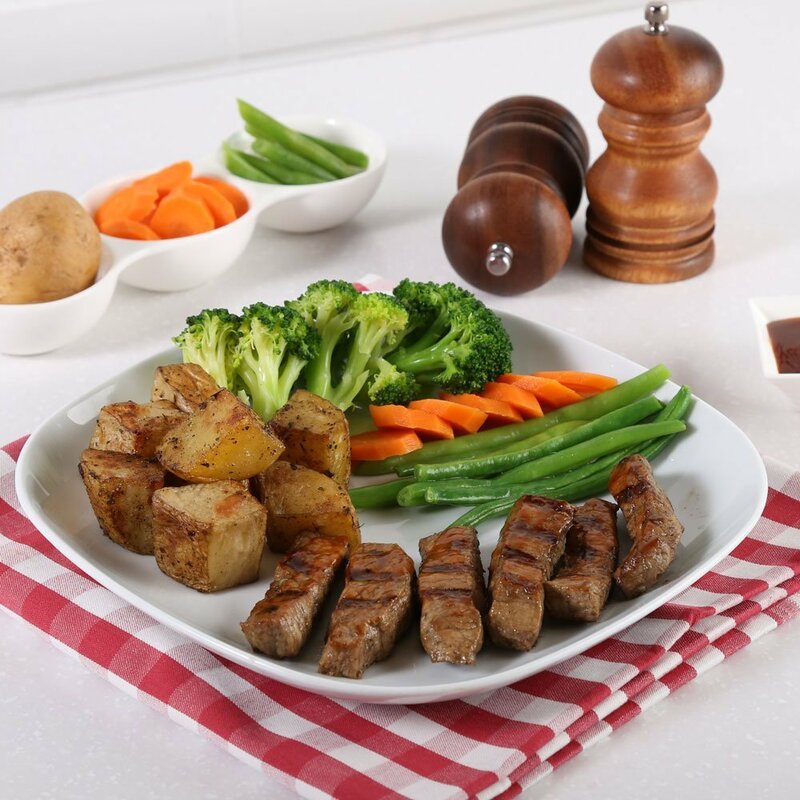 Our mouth-watering steak tips grilled to perfection served with two side orders of your choice. 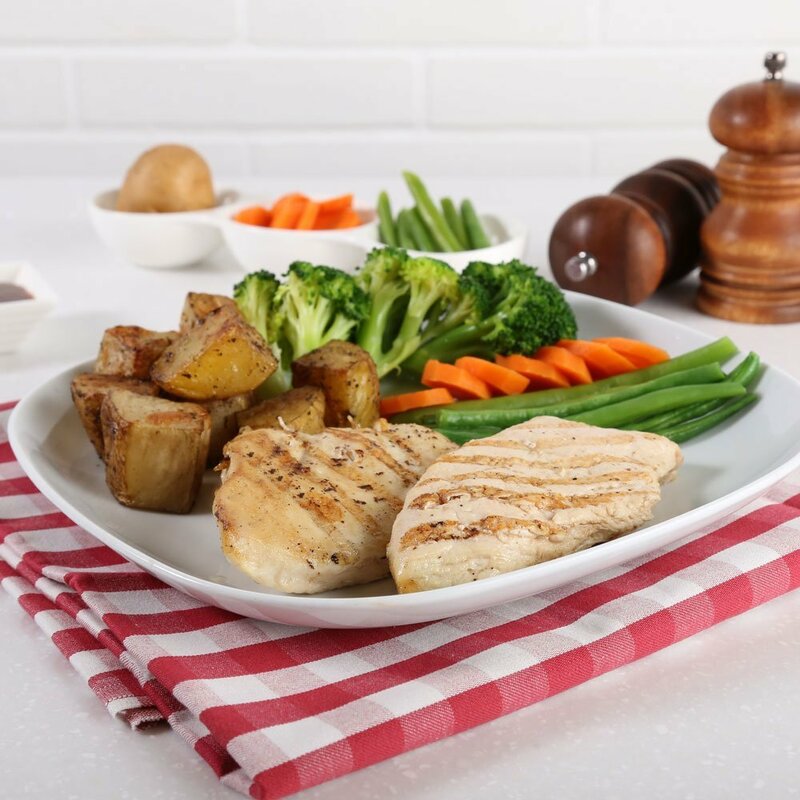 Juicy grilled chicken breast served with two side orders of your choice.